This doesn’t need much explaining. 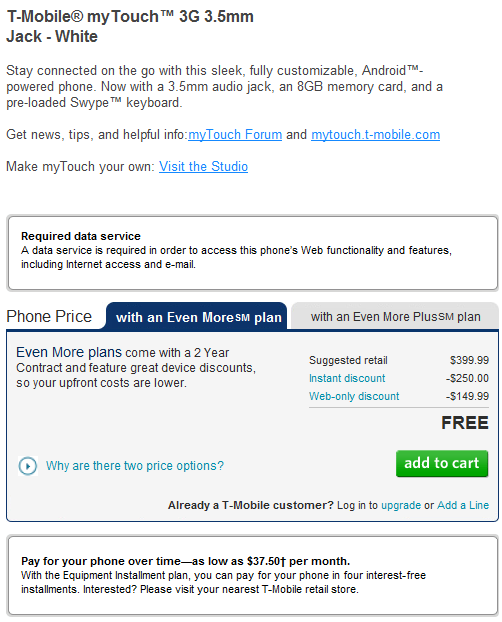 If you start a new T-Mobile 2 year contract or upgrade and extend your current service contract, you can get the MyTouch 3G for nothing, nada, zilch. Got a frugal friend or family member looking for a cheap smartphone? Look no further. Just check out T-Mobile’s online store page.